Aaron Wallis are delighted to offer a free PDF download on 'Selling in Tough Markets' from expert sales trainer and sales motivational speaker, Gavin Ingham. Strategy 2: Believe you can. Strategy 3: Prospect! Prospect! Prospect! Strategy 4: Visit more clients. Strategy 6: Ask for referrals. 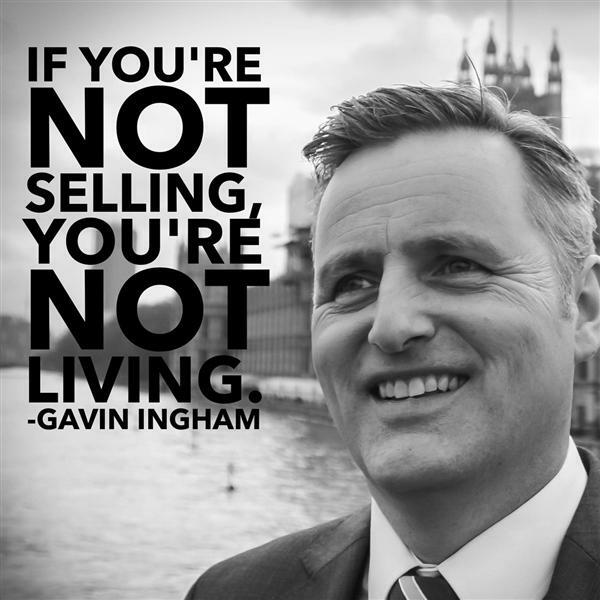 Download "Selling in a Tough Market"
Gavin is considered by many to be the leading expert on sales performance and motivation in the UK today. He is a true expert, having touched thousands through live programs and reaching a worldwide audience through keynote speeches and online newsletters and articles. For the last 10 years, Gavin has used his consultative sales knowledge and expertise to help sales people to explode their sales performance by turning self-doubt, fear and lack of motivation into self-belief, confidence and action. With his inspirational approach to sales performance and motivation Gavin combines commercial experience, personal excellence and communications technologies in delivering personal and business sales success. He focuses on the core sales challenges of fear of selling, fear of rejection, fear of presenting and staying motivated. Gavin is a motivational sales speaker, sales trainer and published author and has recorded numerous sales audio and DVD programmes. Set your next conference or AGM alight:- Gavin Ingham is a sales author and speaker focusing on educating, inspiring and motivating salespeople, business owners and entrepreneurs to achieve the sales results and business that they desire. Gavin is a published author and is read monthly by tens of thousands of go-getting business and sales professionals. If you want to set your next conference, AGM or away day alight, firing your sales team up with proactivity, passion and belief then give the team a call now on +44 (0) 845 838 5958. Visit Gavin's web site by clicking his logo above.